Cherry Demolition has demolished thousands of residential dwellings and commercial buildings. Their turnkey process includes everything from utility disconnects and demolition permits to clean-up and grading of the lot. Cherry delivers services for industrial, commercial, residential, and interior demolitions, along with asset recovery and waste management. Because of Cherry’s use of recycled concrete, recycling demolition and other industrial waste, they’re a leader in their field. Since 1952, Cherry has grown to meet and exceed changing demands of customers, communities, and governing bodies. Even so, Cherry is still run everyday by the same family that started the company more than 50 years ago. Cherry brings professional focus and a priority on safety to every project. That’s why I trust Cherry. Call them for your next demolition project. 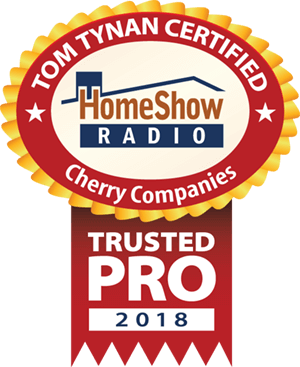 Serving the Greater Houston area, Cherry Companies is a trusted HomeShow Pro, certified by HomeShow Radio’s Tom Tynan. How can Cherry help you? • After a building demolition you won’t believe what happens next.